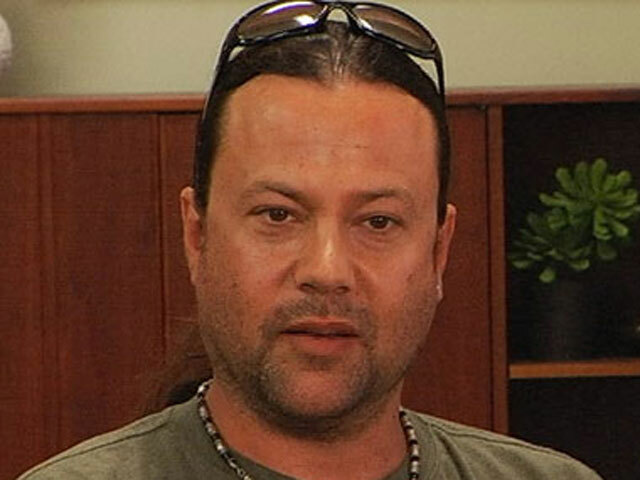 (CBS) - Former Alice in Chains bassist Mike Starr was arrested in Utah Thursday evening after police say they caught him with an unmarked bottle of prescription pills, according to a report. Starr, who appeared on season 3 of VH1's Celebrity Rehab, was arrested on two felony counts of possession of a controlled substance for 6 pills of a painkiller called Opana and 6 pills of Xanax, an anti-anxiety drug, reports TMZ. The 44-year-old who played with Alice in Chains from 1987 to 1993 did not have a prescription for either drug, says the site. According to the police report obtained by TMZ, Starr tried to pull the celebrity card on the arresting officer. "[Mike] stated 'Hey officer, have you heard of Alice in Chains? I used to be the base [sic] guitarist for them. We are down here in Utah. Me and Travis are putting together a new band.'" Starr was being held on a $20,000 and was still in police custody as of early Friday. Alice in Chains lead singer Layne Staley died from complications related to drug addiction in 2002.